After thoroughly testing and reviewing the UK’s top kids’ brushes (see hands-on photos and links to in-depth reviews below), we’ve put together the following guide on the best electric toothbrush for kids. In this post we’ll be looking at electric toothbrushes suitable for kids from ages 3 and up. If you’re shopping for a younger age, you will find out best baby toothbrush article more helpful. For the impatient amongst you, our top 3 choices are listed below. If you want more detail and to understand why we chose each, read on. Below you can read a more in-depth explanation of why we recommend the following three electric toothbrushes for kids. As close to perfect as you will get in a kids electric toothbrush, if this does not get them brushing their teeth regularly and better, little else will. It offers up all of the desirable features. Bold colours and a variety of stickers in the box give the opportunity for kids to personalise the brush handle to their taste. It is easy to hold in hand and has plenty of grip on the handle so it will not slip easily. There is a built-in timer and the brush automatically powers off at the end of a 2 minute clean too. Connecting via Bluetooth to a smartphone, there is an excellent app for Android and iOS which motivates and educates the child. The battery life is fantastic too which means there is one less thing to worry about as a parent. Small and innovative touches include the Easy-Start mode which ramps up the power for first time electric toothbrush users. In the box are 2 brush heads, a compact and standard making it suitable for younger and older children too. The heads are even rubber backed so they are soft on the inside cheek of the child. The only real negative is the price, but it is a small additional price to pay when you consider the benefits and convenience it can bring to you and your children. 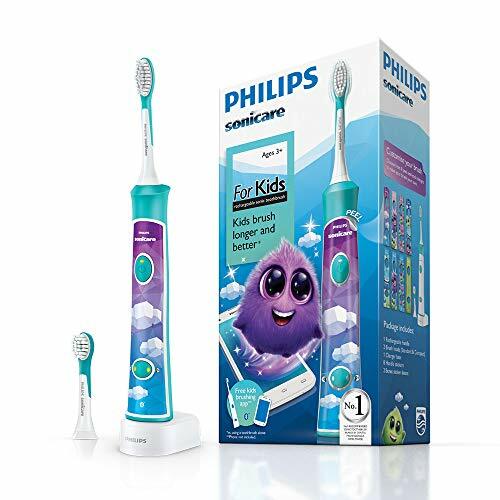 Find out more: Philips Sonicare for Kids Connected Review. What it lacks in battery power it makes up for in its price. A very cost effective option, this brush has a built in timer and an accompanying app too. Sadly the app does not pair to the brush via Bluetooth and is not as educational as the Sonicare offering. But it does still encourage cleaning for the right amount of time and is in some ways more engaging as it features popular Disney characters that many children are familiar with. Just 5 days claimed battery life and no battery status indicator is a disappointment, although hands on testing suggests longer. However, the brush handle is bold and attractive to children, easy to hold and comes with a small, soft bristled brush head. It cleans the teeth well and the small round brush head is great for reaching into the different parts of the mouth. Replacement brush heads are good value too. Find out more: Oral-B Stages Power Review. Designed with the older child in mind this brush is a bit more classical in its offering. The handle comes in 2 different bold colour options but there is no app of connectivity options to educate and encourage the child. The provided brush head is a full size sensitive brush head which means this brush is suitable for children aged 6 years and older. The battery life is a bit better at 7 days or more but still short of what Sonicare offer. A built in timer and quadpacer are great to see. The short answer is no, children do not need an electric toothbrush. This is the same as adults – we do not need an electric toothbrush. But, there are many advantages for your son or daughter to have one. The benefits are much the same as they would be for adults, but there are 3 key reasons that stand out for us. The first has to be the speed, power and movements of the brush. Simply put, even if your precious one only brushes for 10 seconds, the electric toothbrush will have made considerably more passes over the tooth surface than a manual brush used for the same time. Tooth brushing really is dependent on technique. Manual toothbrushing requires a lot of dexterity, which your child is unlikely to have. In fact, current recommendations by dentists is that toothbrushing is done by parents until a child is able to tie their own shoe laces, and then supervised until 8 years of age. Electric toothbrushes are a lot less technique sensitive, because they do a lot of the hard work for your child. Therefore they are likely to get a better clean with an electric toothbrush. Reason 2 is that there are timers built into the brushes. We all know how a child can think a matter of seconds is a lifetime when they are having to do something they don’t want to, such as brushing their teeth. Unlike a manual brush most electric toothbrushes have a timer function built in that helps encourage your child brush for the dentist recommend 2 minutes. The 3rd key reason is the interactivity that these brushes can bring. Some have associated apps that run on a smartphone whilst the child brushes. The specially designed interfaces appeal psychologically to your child and makes brushing more enjoyable and in some cases educational too. Suddenly 2 minutes isn’t quite so long and boring when they unlock achievements within the app for brushing correctly. Numerous independent studies have shown how electric toothbrushes encourage users, both children and adults, to brush for longer. Statistics from 2017 have shown how more and more children are suffering with tooth decay. Lifestyle choices and hidden sugars within foods has led to a 24 percent rise (in the last 10 years) in the number of children under 4 years of age being hospitalised for tooth extractions. Taking care of children’s teeth is the best way to fight gum disease, plaque painful cavities and of course possible tooth extraction. Teaching a child good habits now can really make a difference in the future. And an electric toothbrush is one of the best innovations and advances in encouraging your children to form great brushing habits. You can find out more about when is the right time to give your child an electric toothbrush in our article: when can children use electric toothbrushes? Why you should you listen to us? We have tested every one of the mentioned toothbrushes and many more! Hundreds of hours of research has been completed, finding out what parents want, what concerns they have and what children think about the brushes to come to the conclusions we have. We are not product marketers, we are not affiliated with any brand. Individuals, just like you, we take a critical look at what products are available and draw conclusions from real world testing, contrasting and compare the those electric toothbrushes designed specifically for children. Why not watch this short video to find out a bit more about us? Should I buy by age group? Many parents look to the leading brands they know they can trust, to help them get a feel for what is appropriate for their child’s age group. Most brands do to some extent categorise their brushes by age groups, but it is not always that straight forward. Different electric toothbrushes have different power settings, different brush head sizes, different designs and features that suit different aged kids. Generally speaking you have 2 key age groups when it comes to electric toothbrushes for kids. Now to be fair, not all of these categories offer up electric toothbrushes as options but it becomes somewhat confusing when in the UK the same brand simply categorise their brushes for 3 years +, despite having a brush specifically designed for children 6 years and older too! Far from a strict rule, the general practice and consensus is that the earliest a child can use an electric toothbrush is from the age of about 3 years. Younger than 3 and you should be looking at manual brush or products suitable for babies and toddlers. It is then with children aged roughly 6 years old that you would begin to consider a different brush or brush head. Children do develop at different rates so as soon as your child turns 6 years old does not mean they need a new toothbrush. However by 7-8 years old, you should be thinking about switching to something more suitable. And then of course you have your older children aged 12 years and up. From this age onwards you can begin looking at the adult range of electric toothbrushes. As a parent you need to make some decisions about when you do and do not need to supervise your child. Some kids need more assistance whilst others are quick independent learners; hey even 2 children in the same family develop at different rates. Brushing should start as soon as the first tooth in the mouth erupts, if not earlier to get your little one used to the sensation of having a toothbrush in their mouth. For children up to the age of 4 the parent/carer should be brushing their child’s teeth. That’s not to say that your little one can’t have a go – just that you have the responsibility for doing the actual cleaning. Toothbrushing requires lots of hand movements. A fair way to assess if your child is physically able to brush their teeth is to compare it to tying shoelaces. If they are able to tie shoelaces, they are able to move their hands well enough to brush effectively. From about 4 years old, start teaching your little one how to brush their teeth. Most children under the age of about 8 will require some form of supervision and guidance when brushing, that is in addition to the encouragement to get them into the bathroom to begin with. From about 6-7 years you should find, all being well, that the kids have begun to get the knack of it and do brush not only correctly but for the right amount of time. Particular brands, dental professionals or advisers may have differing opinions, but as the parent, you will likely have the best feel for when and when not to supervise your child during brushing. Our advice is continue to supervise them until such times as you are confident they can brush properly most of the time. Check in on them occasionally to monitor their progress; a task made much easier if you are using one of the connected brushes available. 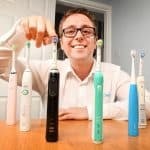 What is the best brand of electric toothbrush? What makes a product or brand the best at something is often personal opinion. What we believe to be the best brand may be different to you, based on personal perceptions, influence and desires. We take cost and features into consideration when considering what product is overall “best”. Based on our own hands-on testing, Philips Sonicare and Braun Oral-B stand out as the leaders within this field. They are the best selling brands for adult toothbrushes and this trend continues when it comes to childrens’ electric brushes. What makes them so popular is how well the brushes clean, their technology, features and price. Another well known brand is Colgate. Whilst they offer electric toothbrushes for adults, their focus has been more on manual and removable battery operated models for children, and the customer reviews for their kids brushes don’t tend to be as good. An electric toothbrush gets its power from a battery. This battery may well be user removable or fixed inside the brush handle. 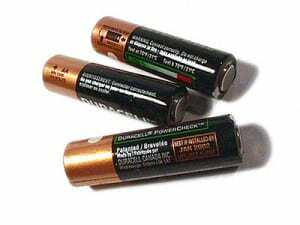 Most electric toothbrushes have a battery built into the handle, but there are a range of brushes that accept removable batteries. These tend to be powered from 1 or 2 AA or AAA batteries. When they run out, they are simply replaced, whereas a brush with a fixed internal battery needs to be sat on a charging stand, connected to mains power to be replenished. Price tends to be the biggest advantage of a battery powered brush, but it may well be a cheaper option if you are not sure if your child will take to an electric toothbrush. The downsides to this type of brush is much greater. They tend to lack desirable features, deliver less power and can be less reliable. Dentist Jane Shaw writes at the babycentre.co.uk that her preference and recommendation is for those with non-removable batteries. If you are looking for a removable battery brush for your little one, the Oral-B Advance Power for Kids is our recommendation. There are a couple of designs, Disney Princess (view on Amazon) and Disney Cars (view on Amazon). Let’s take a look at what each of these are and why we feel they are particularly relevant. You only have to look at your child possessions to see that most of them are quite bold in colour. They catch they eye and engage the mind and attention of the child. Unlike adult electric toothbrushes that tend to be white or very soft pastel shades, kids electric brushes are much bolder, with blue, red, yellow and green colours, just like their toys and games. The handles tend to be a bit larger with more rubber and points on which to grip the brush making it easier for smaller hands to keep hold of the handle even when wet. Certain models, like the Sonicare For Kids come with stickers that can be stuck to the handle for further personalisation and motivation to children to make use of their brush. Kudos to you if you child is not fussed by the design, but our bet is the bold colours alongside characters from popular films and TV shows will be a big hit and motivating factor to brush those pearly whites. Possibly the best and most important technological feature built into an electric toothbrush. Do not consider an electric toothbrush for your child unless it has at a minimum a 2 minute timer built in. All over the world dental professionals suggest 2 minutes of brushing twice a day is what children and adults alike should be aiming for. Both are guilty of not brushing for as long as they should but children in particular have a different perception of time and are more easily distracted from their brushing. Brushes with built in timers make it easier for kids to learn how long they have been brushing for and when they can stop. From the moment the brush powers on the timer kicks in and at the end of the 2 minute cycle the brush will make a sound or pause to signal the 2 minutes are up, or even better the brush will automatically power off. Those that power off automatically are best as it is a stronger indicator to kids and conserves on the battery life too. Many brushes do too have a quadpacer built in. This is a timer that counts 30 second intervals to help children and adults alike pace their brushing and focus 30 seconds of brushing to each quadrant. They are, top right, top left, bottom right and bottom left. Brushes with the timers built in can really help kids brush for longer. This is perhaps the least important feature of the ones we highlight, but one parents might find extremely useful to consider. Battery life can vary from about 5 days through to 3 weeks. Naturally those with the longest life require less recharging of the battery. Depending on how good your child will be at putting their brush back on the charging stand, a brush with a longer battery life might be preferred because there is less chance of you or your kids finding out that the brush is low or out of power at the next brushing session. We have heard from many a parent who were not aware that the toothbrush was out of power or simply forgot to check it was topped up, as there are plenty of other things to think about and do. As some form of middle ground those brushes with battery life indicators, normally a flashing LED are helpful for a quick check of what power is left. The Oral-B Stages Power we recommend is a great brush but one weakness is the 5 day battery life and no way of telling how much power is left in the battery. A 3 year old has a much smaller mouth than a 10 year old. Therefore in most cases you are going to want to pick a brush head that is suitable for your child. Most childrens toothbrushes will come with a smaller brush head as standard, it is from about the age of 6 upwards that you can usually make use of a larger brush head. It does depend somewhat on your child and their preference, but brush heads for kids are made with softer bristles than those heads designed for adults. Sonicare actually coat the back of their brush heads for kids with a soft rubber material rather than the normal plastic for standard adult brush heads. This makes it softer and more enjoyable for children to use. Oral-B Stages Power brush comes with a smaller brush head than their Junior model. Included with the Sonicare for kids connected is both a smaller (compact) and a standard brush head, giving you and your kids the choice. Of course all these brush heads can be purchased separately. You should replace the brush heads every 3 months on average, sooner if they look frayed or particularly worn. Children’s educational standards have risen as has the way things are taught. Much more is interactive and game based. As a result, the old school way of teaching your kids how to brush might not be as well received. Thankfully there are apps for kids that make brushing more interactive and enjoyable. Depending on the app and brush in question does somewhat affect the experience and option available, but all tend to make the experience of brushing the teeth more enjoyable, interactive and in many cases educational. Most are reward based, meaning the longer the child brushes for in time and in regularity the more things are unlocked or achieved within the app. The best experience is achieved via those brushes that have Bluetooth built in and pair with a smartphone app. These transfer real time data and can better tell if a child is still brushing. For example, our recommended Sonicare for kids connected toothbrush app can tell if the child has turned the brush off before the time is up. Oral-B cannot currently offer this. Other brush and app combinations that do not pair via Bluetooth are still beneficial, but you don’t get the same level of detail and benefits. All the leading brands have apps. Philips Sonicare for Kids – Uses Bluetooth to pair with a smartphone. Makes brushing engaging by using a centralised character, Sparkly, to teach kids the benefits of brushing, whilst offering rewards for progress as well as parental controls for reminders and performance tracking. 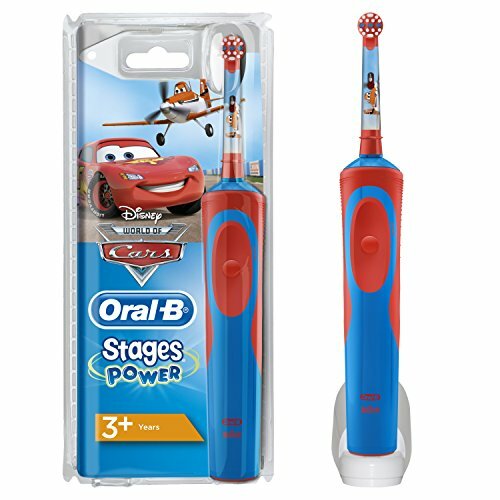 Disney Magic Timer – Designed for the Oral-B Stages Power electric toothbrush, it needs to be launched when the child begins brushing and is not directly linked to the toothbrush. The app can run for 2 minutes but the child may not be brushing. Offers up to 23 different Disney, Marvel and Star Wars characters and unlocks badges and for achieving a 2 minute clean and regular brushing cycles. A little less educational element than Sonicare’s offering. My Bright Smile – 5 educational dental games and a 2-minute brush timer. Each dental game reinforces one important oral care lesson. The timer has a nice play and pause feature and an engaging song to go along with it. This app does not pair with a smartphone via Bluetooth. Adventure Book – An app based book rather than a game or timer to get your kids to brush. It is a well illustrated book that has 2 stories suitable for 4-8 year olds that not only encourages kids to develop their reading and learning but teach about oral health. Brush DJ – The app plays a song of your choice for 2 minutes to listen to as the child brushes. Perhaps it could be their favourite tv tune or one of the chart topping hits of the moment. Tutorials and reminders are part of the app too. There are without doubt a whole host of other apps that do or achieve similar things, but these are just a selection of the best ones we have used. I have 2 or more children, can they share the electric toothbrush? Yes, it is possible to share the electric toothbrush between your children, but you MUST change the brush heads each time the brush handle is used. Therefore you will likely need to do this for them, because it is not all that likely kids will remember to do so. Battery life will be affected if you share brush handles. So a handle with 7 days battery life will need charging roughly every 3 days because the battery is being consumed twice as quick as normal battery run times are based on one user. Those brushes with apps do have different user profiles so you can have one for each child. You may wish to consider any squabbles over the colour/design/stickers applied to the brush handle. I don’t want you to have to go to the extra expense, but sometimes a separate handle is much easier. Can my child use an adult electric toothbrush? In theory yes, they could, but electric toothbrushes designed for adults tend to have larger brush heads and be more powerful and are therefore not suitable for all children, particularly younger ones. From about the age of 8-10 years children’s teeth and mouths have developed to a point that they can normally accommodate an adult sized brush head as well as the additional power that they bring. Also, consider the type of bristles on the brush head. Ideally you want softer bristles as these are not as harsh on the softer gum and tissue found in children’s mouths. Pick up a brush head specifically labelled as soft, often they are labelled as ‘sensitive’ brush heads. By the time they hit their teenage years an adult toothbrush is certainly perfectly acceptable. They can also use the brush heads that come with firmer bristles and need not stick to soft brush heads, with that said there are many dental professionals who will still encourage the use of the softer brush heads. Buying Online: What’s the Cheapest Option? We tend to recommend Amazon as they have the most competitive rates, but it’s also worth checking out other retailers. For Philips brushes, you also have the option to buy from them directly. Depending on your location availability can vary, but most large supermarkets like Asda, Sainsbury’s and Tesco will usually stock a few models too. Picking an electric toothbrush for your child is no easy feat. There are a number of different options, lots of different features and varying price points. You can read and be told different things and easily become overwhelmed by all the information. Our intention is to do away with some of this confusion, make things clear and hopefully make the decision process for yourself that little bit easier, we hope to have done this. Sticking with one of the leading brands like Oral-B or Sonicare you can’t really go too far wrong. 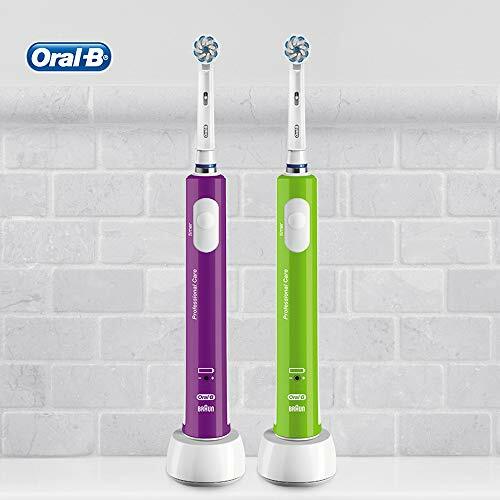 The very best brush you can buy is the Sonicare For Kids Connected (view on Amazon), however that does come at a price. If you feel your child is too young to benefit from a more expensive brush, just getting them to brush properly twice a day and not have too much sugar is a big step, and a cheaper brush like the Oral-B Stages Power (view on Amazon) will more than suffice. That being said, if the Sonicare For Kids Connected encourages your child to at least brush more often because it is fun, then perhaps the additional price tag is worth it. If you have any questions or queries about electric toothbrushes for kids that we have not answered, then don’t be afraid to get in touch. Leave a comment below, reach out via our contact page https://www.electricteeth.co.uk/contact/ or even social media if that is your preference. And of course, if you have used any of these brushes or any others for kids, please do share your thoughts and opinions on the pro’s, con’s and lessons you have learned, your feedback is extremely helpful to us and other readers. Hi, thanks for a very detailed article. I agree Sonicare is the best available and purchased one 6 months ago for my 4 year old. I have spoken to Philips and unfortunately they now only manufacture the replacement heads for children aged 7+. The toothbrush is not suitable for younger children any more so I am now looking for an alternative. Perhaps you could update your article? Thanks for this information. This is news to me and a quick bit of research would suggest you are correct in that they have now stopped selling these heads. That said, they are still clearly shown on Sonicare’s website. Just they and others are out of stock. I wonder whether they are re-designing the brush heads and soon there will be some more available. They are not the cheapest, but you can still buy them here and here, as well as on ebay. Whilst I have not used, there are these third party brush heads you could consider trying. If you want to switch to a different brush, the Oral-B Stages Power would be the next one to consider. Hi my daughter is nearly 11 so should I buy her an adult electric toothbrush? Yes that is fine. From about 8 years old an adult toothbrush can be used. I have searched for the hygiene w5210 ionic toothbrush on line and it is not available anywhere. Do you know if it is still available and where it can be purchased? Hi Barbara It would seem this is no longer available. I have searched a few other retailers and all seem to no longer have it. We will look at updating the article.